The 2001 unsolved homicide of Louise Chaput. 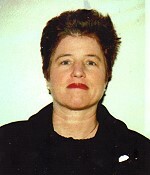 Louise Chaput, age 52, was last seen on November 15, 2001. She was reported missing on November 20, 2001 by family when she failed to return from a scheduled hiking trip in Pinkham Notch. Her body was found on November 22, 2001 in the vicinity of the Glen Ellis Falls parking lot at Pinkham Notch. An autopsy ruled that her death was a homicide as a result of multiple stab wounds.